This still image and set of animations show NASA's Voyager 1 spacecraft exploring a new region in our solar system called the "magnetic highway." 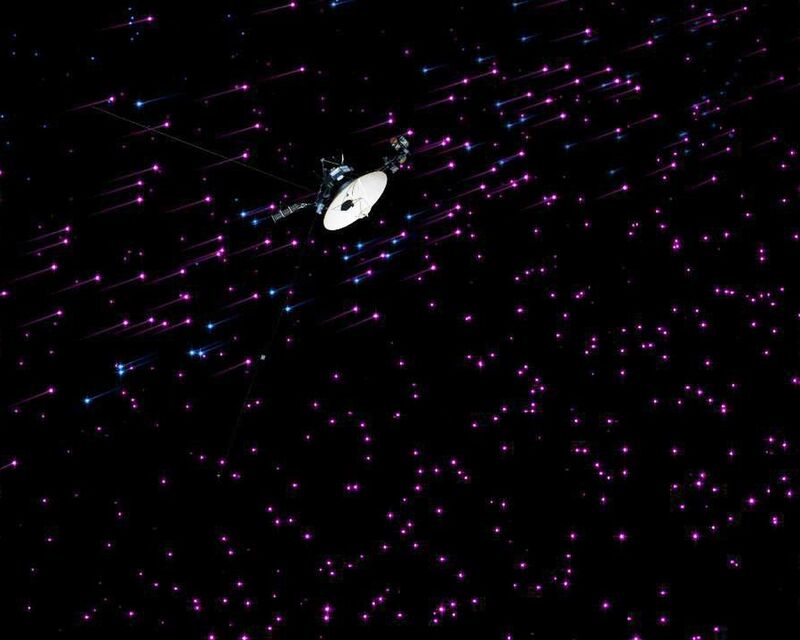 In this region, the sun's magnetic field lines are connected to interstellar magnetic field lines, allowing particles from inside the heliosphere to zip away and particles from interstellar space to zoom in. Before Voyager 1 reached the magnetic highway, charged particles bounced around in all directions, as if trapped on local roads inside the heliosphere, as shown in the first scene. The pink particles are the lower-energy charged particles that originate from inside the heliosphere, which is the bubble of charged ions surrounding our sun. 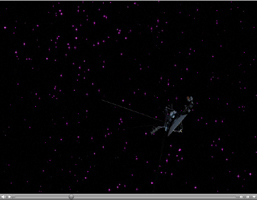 The second scene shows Voyager entering the highway region, where inside (pink) particles zip away and particles from interstellar space (blue) stream in. These interstellar particles are called cosmic ray particles and have more energy than the inside particles. In the third scene, further travel through the magnetic highway means that all of the inside particles are leaving and the population of outside particles is much higher. The cosmic ray particles rapidly fill this new region to the same level as outside and speed in all directions. The fourth scene shows the point at which all of the inside particles have zipped out, leaving an area dominated by cosmic rays from outside. 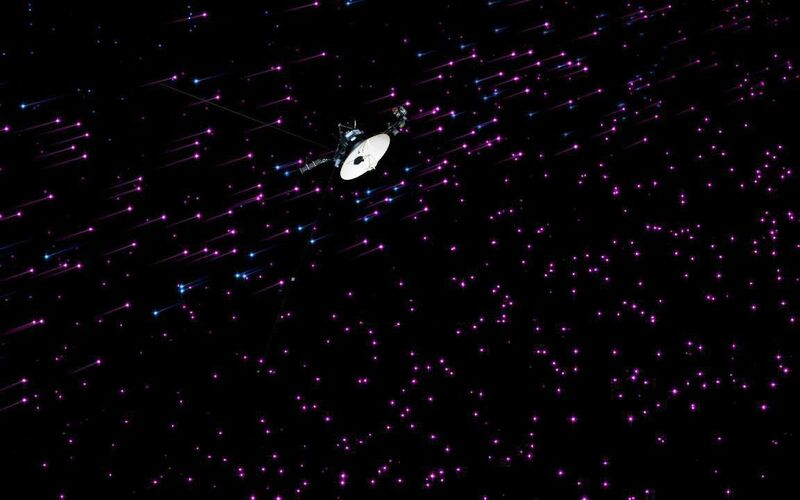 These animations are based on data from Voyager 1's cosmic ray instrument. These particles are invisible to the human eye and less populous, but are visualized here in exaggerated populations.